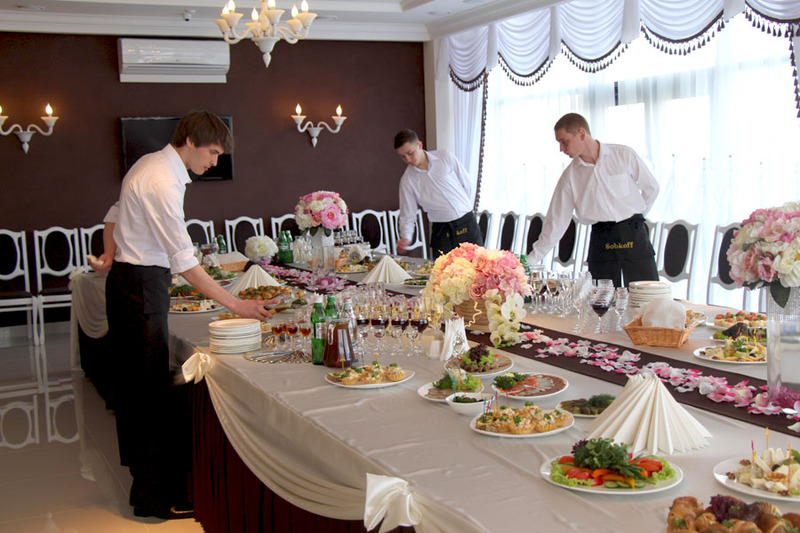 Small banquet hall is available for weddings with up to 100 guests. Convenient location on the second floor of the complex, bright and spacious room, powerful heating and air conditioning, access to the observation deck allow at any time of year to turn the celebration into a real holiday of pleasure and fun. 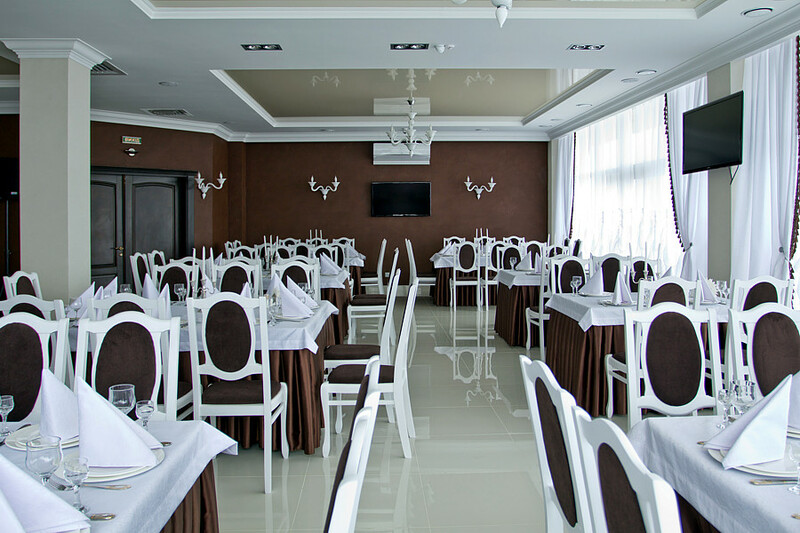 This is largely facilitated by the ability to quickly re-equip the hall for a buffet service with musical accompaniment of the Karaoke, as well as live music performed by the singers and musicians of the musical band “Imperial”. The repertoire of the band is quite diverse: folk, wedding, modern songs of Ukrainian, Russian and foreign performers – undoubtedly will please any music lover. 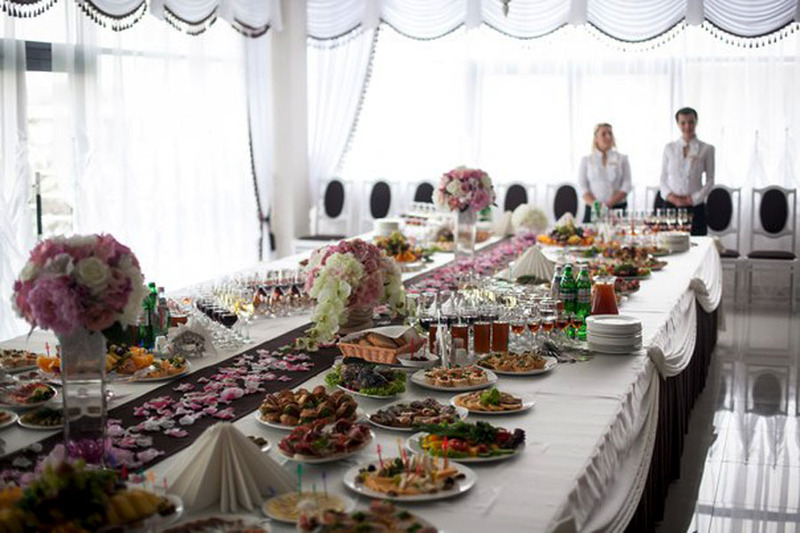 Undoubtedly, after acquaintance with the services of our complex, you conclude that there is no better place for the celebration of the wedding or anniversary celebration than the hotel and restaurant complex “Sobkoff”. Entrust us your holiday and we will do everything to make this day filled with the most vivid emotions and impressions.